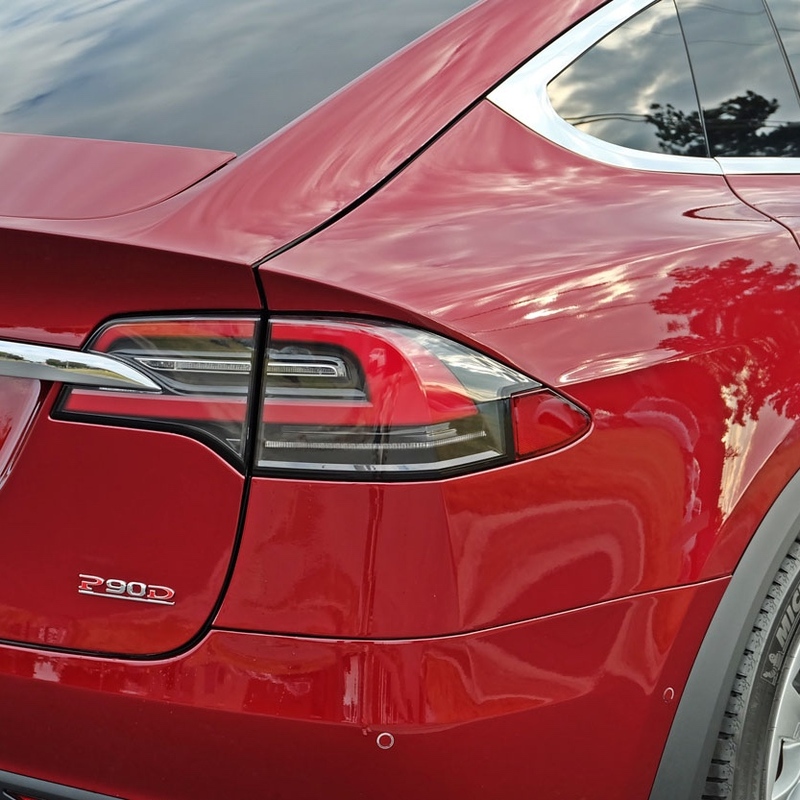 We've had the pleasure of meeting dozens of Tesla owners, and we found one thing in common... They all LOVE their cars. Tesla owners must be one of the most down to earth and passionate individuals! No wonder we protect so many of them. There is defiantly something satisfying about working on a vehicle owned by a passionate individual. This Tesla arrived at our shop earlier in the year for a full SunTek PPF Ultra Paint Protection Film Wrap. Every panel on the exterior, along with the seat backs, and centre console have been wrapped to protect the delicate black paint from those awful swirl marks. How you ask? All the PPF products that we carry are equipped with a self-healing top coat, so any surface scratches will heal with direct sunlight exposure, or by pouring warm water over the damaged areas. Who says Paint Protection Film is only for the exterior? Tesla Owners know just how great those floating bucket seats look like. That Piano Black finish of the back of the seats must be one of my favourite attributes of the cars.... but just imagine how horrible it would look like when they get damaged. The fix? Paint Protection Film. We have template designs ready to cut out for the Model X seat backs. This provides a perfect fit and finish, without even using a blade. This was the first delivered Tesla Model X in Ontario, and sure enough it founds its way into our shop. The Model X was wrapped from bumper to bumper in SunTek PPF-C, along with the seat backs on the interior. Take a look at the picture, the rear door is not wrapped, and looking at the rear 1/4 panel, there is absolutely no difference!!! Black Tesla Model S was wrapped in XPEL Ultimate PPF. Why do we love using XPEL? Simple.... its features. Made in the USA, 8.5 mil thick, optically clear, and a superior Self-Healing top coat. All this equates to the "Ultimate" in paint protection. After the full body wrap, we coated the film with Ceramic Pro Light.